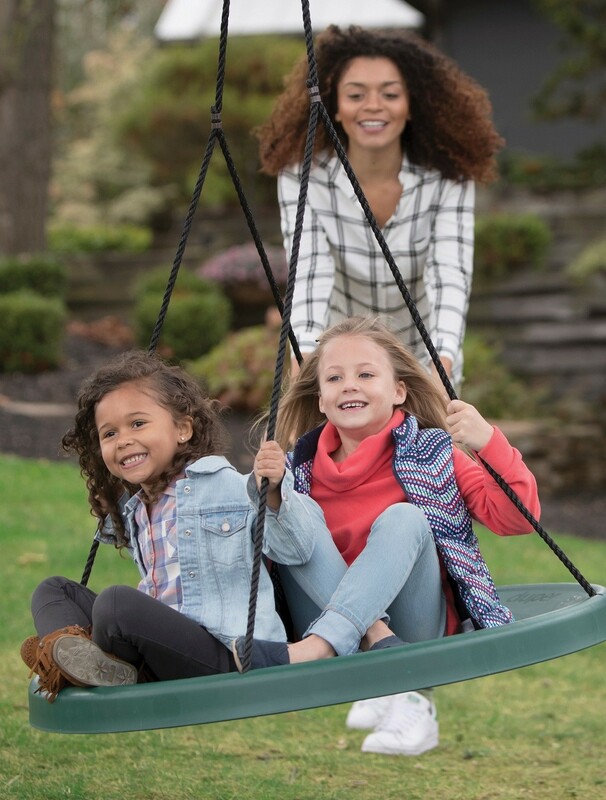 The Super Duper Spinner Swing from PlayMonster is fun for the whole family! 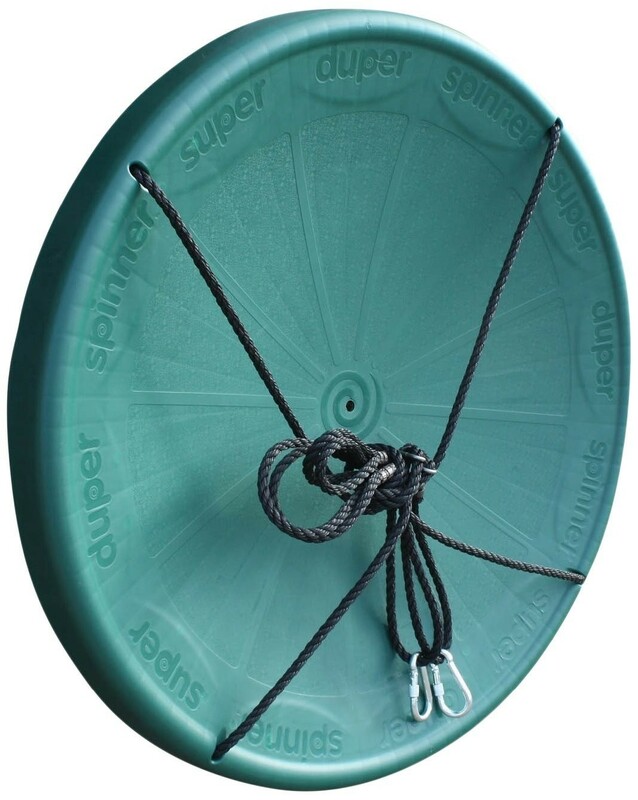 The UV-resistant ropes withstand weather and use, and the safety clips hold the swing tight. The round, curved swing offers and comfortable place to sit, lie or stand, and the center hole allows for moisture drain-off. Plus, you can easily hang it from an existing swing set or from a tree (tree hanging kit sold separately.) 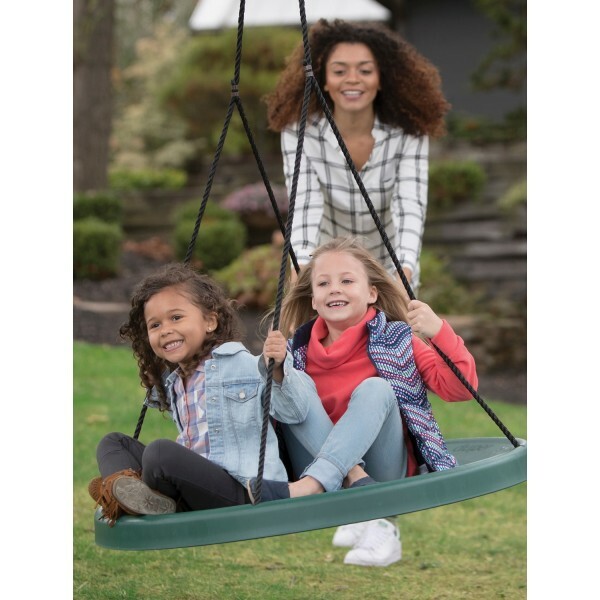 The Super Duper Spinner Swing can hold up to 650 pounds, and the 40" wide seat provides plenty of room for multiple people to swing together. For more awesome toys for the great outdoors, visit our Outdoor Play Collection.